Mick Hamilton toured with the Rolling Stones on their 1966 Tour of Australia and scored national No. 1 hits with The Vibrants during the 60's (Something About You Baby, My Prayer). He toured extensively throughout Europe, UK, USA and Canada supporting The Osmonds during the mid 70's, including performances at the world's premier venues such as Madison Square Garden and the London Palladium. Back in Australia, he formed the critically acclaimed rockabilly band The Mighty Guys in the 80's with whom he released three albums. 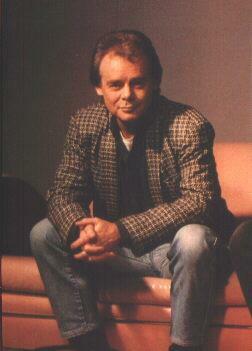 Mick also released three albums in the 90's with Gary Young and Keith Glass as the country band Glass Hamilton Young. In 2000, Mick released his debut solo album, appropriately titled Alone At Last. Available at all good record stores via Empire Records, it contains the Country chart hit, 'Gone, Gone, Gone', and the Celebrating Australia's Heritage competition winning song, 'Wilderness Trail'. or go back to the PICKERS page to see who else plays a Tomkins. For more details on Tomkins Custom Guitars and Basses . . .